What do you think are the essential decorative objects for Christmas? This statistic shows the indispensable objects of Christmas decoration for the French in 2015. 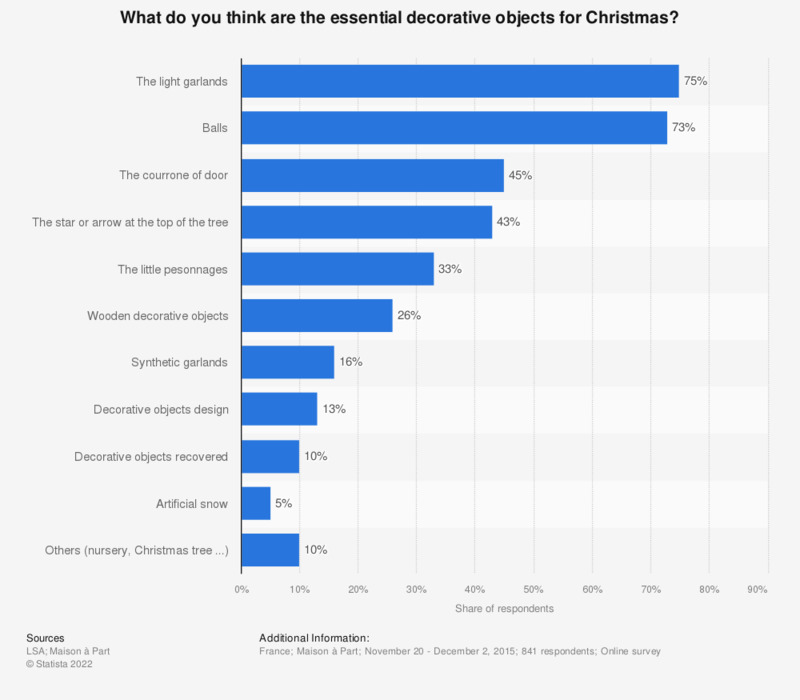 Thus, for more than 40% of respondents, the star or the arrow at the top of the tree was an essential decorative object during the Christmas period. The source does not specify the age of the people interviewed. The source does not give any information concerning the multiple answer options. For the end of the year, will you decorate your home with a Christmas tree, garlands, lights? How much on average do you spend on Christmas decorations? How often do you change your Christmas decorations?